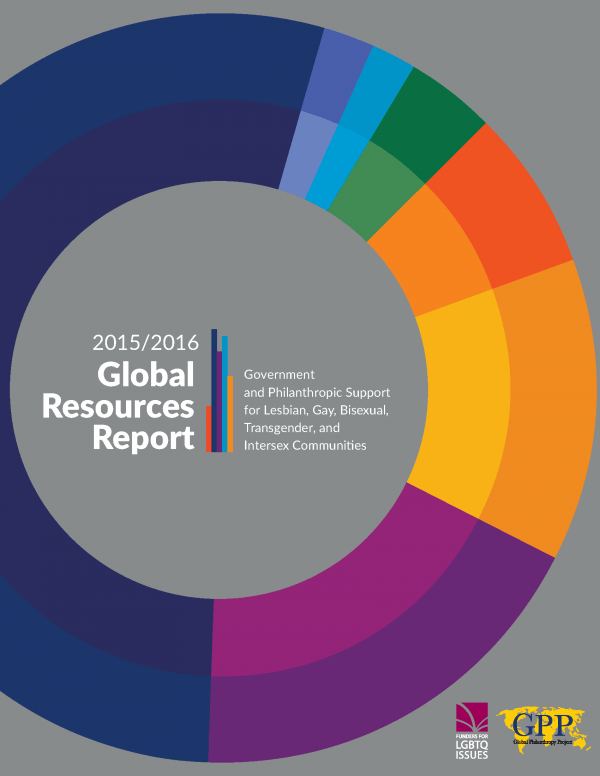 Global Philanthropy Project and Funders for LGBTQ Issues are pleased to present the 2015-2016 Global Resources Report: Philanthropic & Government Support for Lesbian, Gay, Bisexual, Transgender, and Intersex Communities, a comprehensive report on the state of foundation and government funding for lesbian, gay, bisexual, transgender, and intersex (LGBTI) issues. This report captures data on 12,964 grants awarded by 511 foundations, intermediaries, and corporations and by 15 government and multilateral agencies over the two-year period of 2015-2016. It provides detailed data on the distribution of LGBTI funding by geography, issue, strategy, and population focus, offering a tool for identifying trends, gaps, and opportunities in the rapidly changing landscape of LGBTI funding.